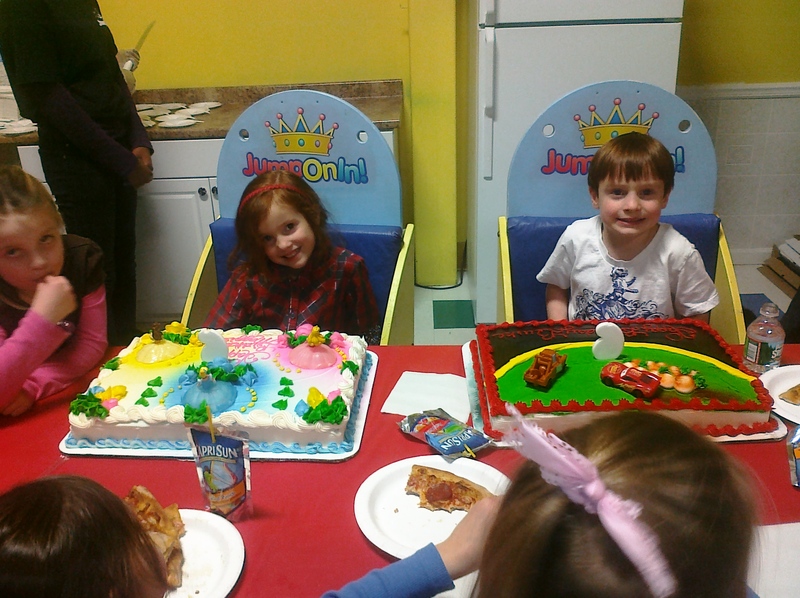 We celebrated the kids’ kid birthday party (36 kids – plus a few siblings) at Jump On In today. Hi Nancy! Hannah and I had a great time at Maggie and Burke’s birthday party! Thanks for inviting all of us 🙂 It was nice to meet half of the kid’s school! Sounds like a very successful party! Sounds like an awesome party at a great place! The cakes are cute too!